Geoff Kraulik is a music composer, multi-instrumentalist and recording artist, producing instrumentals and soundtracks. 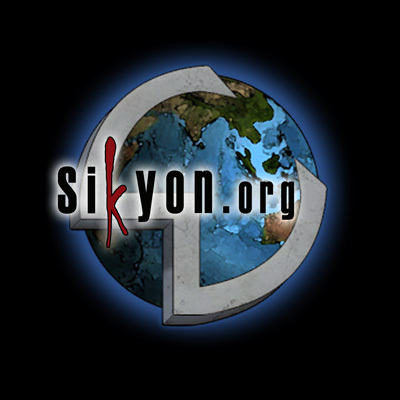 He writes guitar, piano and synth oriented instrumentals covering multiple genres; most notably hard-rock, world, contemporary classical and experimental. His musical influences span from western to non-western cultures, Renaissance through Post-modernist eras, including many genre's of 20th & 21st Century music. © 2001-2019 Geoff Kraulik. All rights reserved. "The Unknown Path" is an instrumental consisting of 12 string acoustic guitars, West African djembe drums, bongos, chimes, shakers and other percussion. The music would best be described as a Mediterranean concept tribal groove. The video was filmed in High Definition wide screen format (not available in HD or Blue Ray at this time) using a combination of green screen cinematography and computer animation. Fans of the music video best describe it as: "Refreshing," very "Entertaining," plus "Hypnotic," and a "Cool vibe." 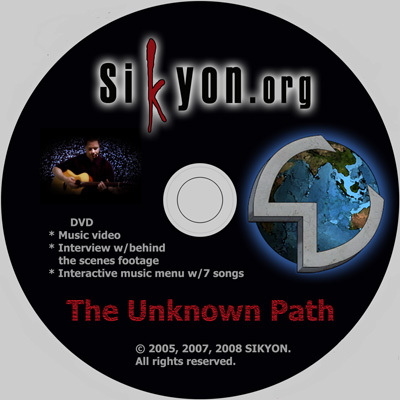 3) An interactive music menu with 7 songs which includes the previous SIKYON CD and the new single release "The Unknown Path"